Do you have a loved one who is no longer capable of meeting their own financial or health care needs? If so, you may want to consider talking to a guardianship attorney. An elder law attorney at Priest & Ellis PLLC can help you sort through the various options available to you, so you can provide for the care of your loved ones. A guardianship is the process where a court grants legal authority of one’s finances or health care decisions to another person. Where a person is incapacitated, the guardian (person granted the authority) may help the individual make proper financial or health care decisions. The court then supervises the guardian to make sure that he or she is actually acting in the incapacitated person’s best interest. 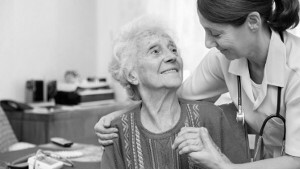 As America’s elderly population, guardianship cases are becoming more and more prevalent. Although, in a perfect world, everyone would have the foresight to account for his or her own potential incapacity, most Americans do not plan ahead. A guardianship may be necessary where a person becomes incapacitated and did not properly plan ahead. A guardianship attorney might also be necessary if a person is contesting or resisting the decisions of their attorney-in-fact or trustee. Lastly, a guardianship might be appropriate if a person starts making bad financial decisions, starts falling victim to scams, or is failing to care for his or her self. A guardianship can help avoid financial exploitation and make sure that health care needs are properly addressed. If you have a family member who is either incapacitated because of advanced age or disability and who may meet the criteria above, call Priest & Ellis today to speak with a guardianship attorney. We offer consultations in our convenient downtown Vancouver WA office. Not every situation requires a guardianship because they are considered one of the most intrusive forms of estate and personal management, but an experienced guardianship attorney can help you sort through the available options. More importantly, you don’t have to wait until incapacity has become a reality but can plan ahead. We can also help you with a variety of estate planning options, including setting up a trust or durable power of attorney. Sometimes, setting up a representative payee, joint bank account, or joint ownership of property might be the better option. Talk to a guardianship attorney to help decide what scenario is best for your particular needs.